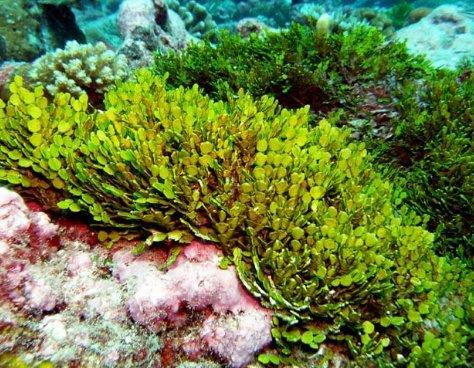 Halimeda Algae is a decrative algae also known as the Cactus Algae & Money Plant. Though technically it is an algae its shape and growth patterns make it both visually appealing and a beneficial nutrient extractor for your saltwater tank. What do Halimeda look like? Will fish eat Halimeda Algae? Where is Halimeda Algae found in nature? Depending on the specific species they can get several inches tall and is recommended to be housed in no less than a 20g tank if you are growing these in a tank with fish to ensure plenty of swimming room. The interesting shape and size of these make for a really cool natural living decoration for a fish only tank. 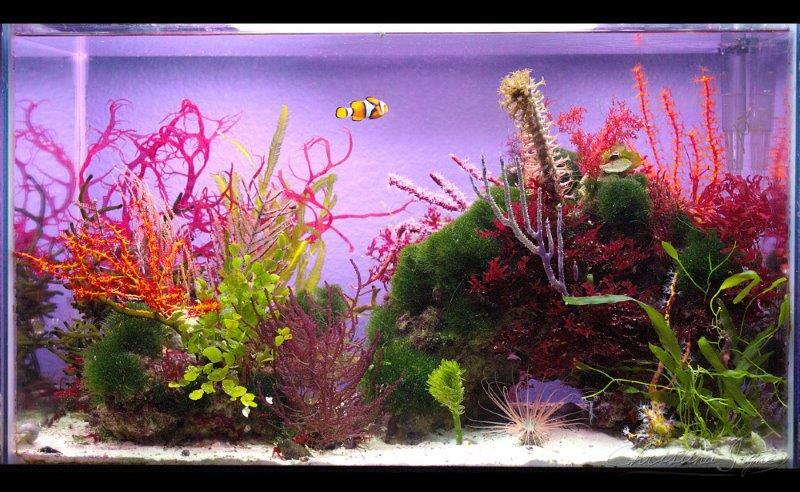 They are fully reef safe and look good mixed in with a colorful reef tank too. Since most grazing fish like stugeonfish(tangs) will most likely steer clear of them they are a great addition to a fish only tank w/out worrying if your fish will eat or damage them. They may give them an initial try, but in most cases will leave them alone due to the calcium buildup in the plant along with the noxious taste they generate as a deterrent to being eaten. One of the few species that dose threaten the growth of halimeda algae are the lettuce slugs. The lettuce slug will feed on the chloroplasts in the algae so that they themselves can be photosynthetic. Halimeda algae plants do not do well with excessive pruning but will need a regular haircut. Studies have shown that with a good nutrition base they can actually double in growth in about 2-4 weeks. Do to this growth they can compete with Caulerpa algae as a nutrient extractor for your tank. Caulerpa algae is primarily known for being highly recommended as a nutrient extractor for refugiums. Because it does grow using available calcium it can serve as a good calcium and alkalinity test. A healthy plant means good nutrient for growing stony coral. This is however double edged sword because that also means they are pulling some of these nutrients out of the water and away from your coral. If you have these with stony coral it is highly recommended to dose the tank with calcium. 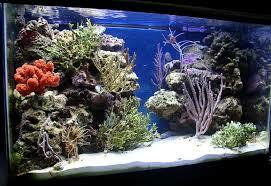 In a fish only tank with no stony coral these plants could thrive without fear of stunting the growth of corals. Do you have experience growing Halimeda? Please share your experience in the comments section below. With Halimeda Algae growing at a rate that can rival Caulerpa making it an excellent choice for nutrient extraction, the fact that most fish will not eat it, and the unique shape it grows in makes for a great addition to any fish only tank. It also would be wonderful in any reef aquarium also but with coral needing to feed on the calcium in your water you will want to keep a close eye on your calcium level and most likely need to dose the tank. What is your experience with this algae? Let me know in the comments below.